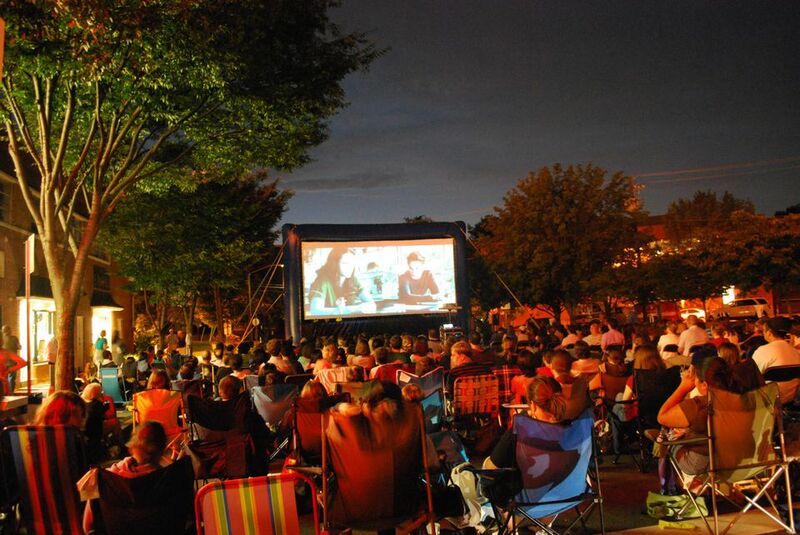 Free outdoor family-friendly movies will be screened this summer in downtown Bethesda. The Bethesda Urban Partnership will present five evenings of modern and classic cinema at the annual Bethesda Outdoor Movies: Stars on the Avenue. Attendees are encouraged to arrive early and bring their own lawn chairs. A limited number of chairs will be provided. All movies will have on-screen captions for the deaf and hard of hearing moviegoers. Location: Bethesda's Woodmont Triangle, the corner of Norfolk and Auburn Avenues. Parking: Spaces are available in the Del Ray/Auburn Avenue garage which is adjacent to the event site. July 18: The Wizard of Oz (1939) When a tornado rips through Kansas, Dorothy (Judy Garland) and her dog, Toto, are whisked away in their house to the magical land of Oz. They follow the Yellow Brick Road toward the Emerald City to meet the Wizard, and en route they meet a Scarecrow that needs a brain, a Tin Man missing a heart, and a Cowardly Lion who wants courage. The wizard asks the group to bring him the broom of the Wicked Witch of the West to earn his help. July 19: Field of Dreams (1989) Rated PG. When Iowa farmer Ray hears a mysterious voice one night in his cornfield saying "If you build it, he will come," he feels the need to act. Despite taunts of lunacy, Ray builds a baseball diamond on his land, supported by his wife, Annie. July 20: Dead Poet’s Society(1989) Rated PG. A new English teacher, John Keating, is introduced to an all-boys preparatory school that is known for its ancient traditions and high standards. He uses unorthodox methods to reach out to his students, who face enormous pressures from their parents and the school. July 21: Hidden Figures (2016) Rated PG. Three brilliant African-American women at NASA -- Katherine Johnson, Dorothy Vaughan and Mary Jackson -- serve as the brains behind one of the greatest operations in history: the launch of astronaut John Glenn into orbit, a stunning achievement that restored the nation's confidence, turned around the Space Race and galvanized the world. July 22: La La Land (2016) Rated PG-13. Sebastian and Mia are drawn together by their common desire to do what they love. But as success mounts they are faced with decisions that begin to fray the fragile fabric of their love affair, and the dreams they worked so hard to maintain in each other threaten to rip them apart.